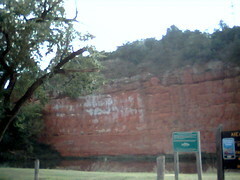 I-40 Exit 101, 5 miles South on Hwy 281. 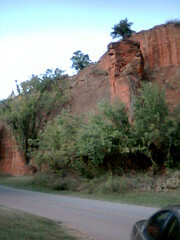 On very south side of Hinton, Oklahoma. 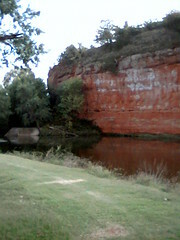 Located in west central Oklahoma, the park and campsites are located down in the canyon among the canyon walls. In addition to RV and tent camping, the park offers picnic areas, nature trails, a small fishing pond, and playground equipment. 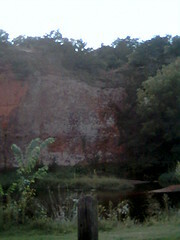 The canyon walls are a favorite for rappelling and open exploration. In season, the park operates a swimming pool with bathhouse (and adjacent food concession) and the group camp, which offers overnight sleeping in bunkhouses, and a kitchen/dining hall for meals or meetings. Group picnic shelters are also available. The park and surrounding area has good opportunities for fall foliage viewing.